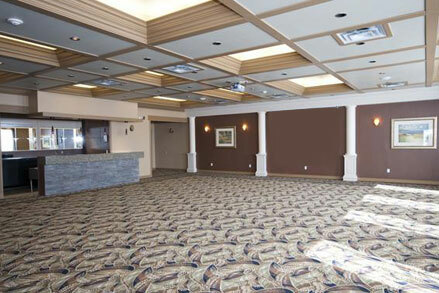 The BEST WESTERN PLUS Mirage Hotel & Resort is home to one of Northern Alberta’s largest and most well-appointed conference facilities. 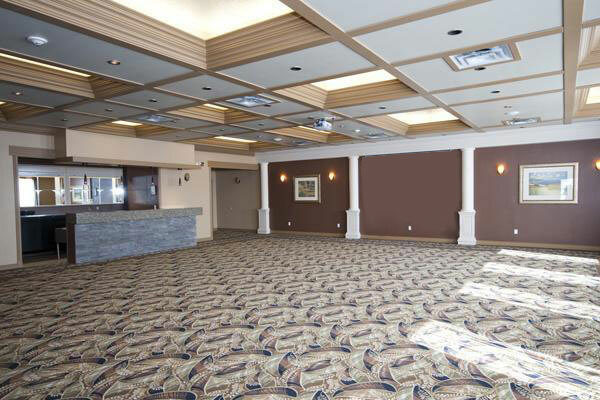 4 versatile rooms are equipped to host anywhere from 15 to 500 people in style and comfort, with onsite catering, bar service, state-of-the-art AV equipment and more. 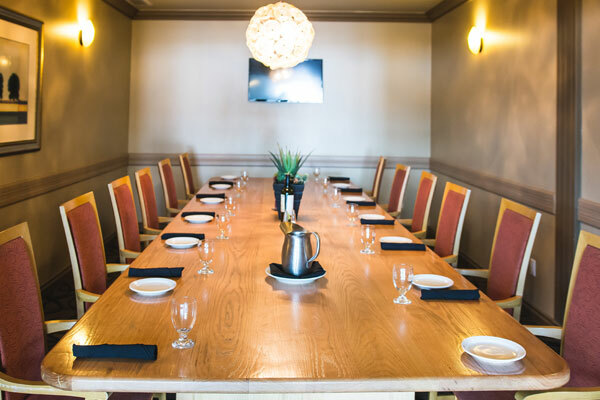 Host to prestigious events such as the 2010 Alberta Premier’s Dinner, our meeting and conference rooms are second to none in High Level, Alberta. 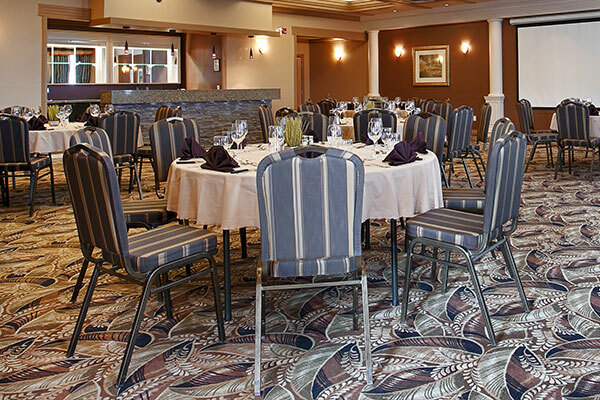 To get started planning your meeting, conference or special event, please contact the BEST WESTERN PLUS Mirage Hotel & Resort and a member of our sales team will be happy to assist you every step of the way. Ideal for weddings, large conferences and entertainment events with 200 to 500 guests, our graciously appointed Conference Centre can be arranged to suit the specific requirements of your event. 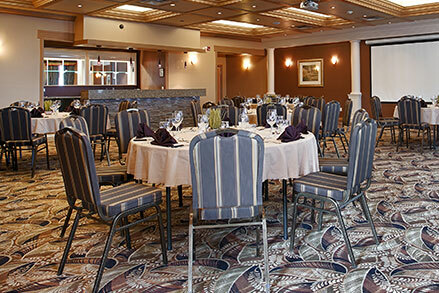 Our elegant Banquet Room is a spacious yet intimate setting for gatherings of up to 140 guests. It features large windows decorated in fine drapery offering plenty of natural light. 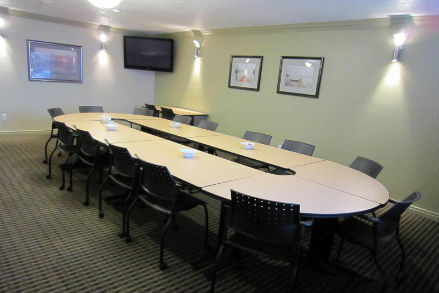 Our private dining room/boardroom is located in our Oasis lounge. 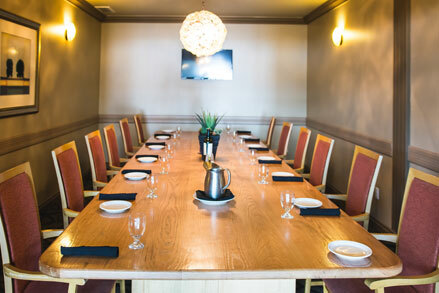 Ideal for casual cocktail meetings or private dinner parties, it is furnished with a custom made grand oak table and 14 comfortable dining chairs. 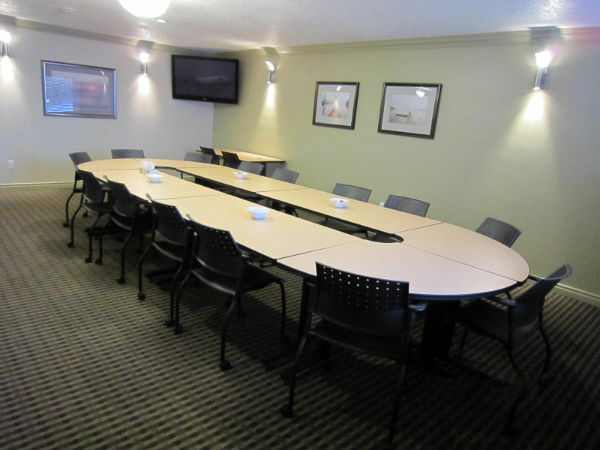 Popular for corporate training sessions and small meetings, our Upstairs Meeting Room is furnished with an adjustable meeting table and ergonomic seating for up to 18 people.